The YWAP Life Ticket is a relationship building tool. At YWAP, we form relationships for life. The YWAP Life Ticket is available during our BWAP Programs and the guys take advantage of them. We do follow up during the week and plug the guys into programs whenever possible. We visit prisons, hospitals, job programs and schools. The YWAP Life Ticket is an opportunity to partner with other folks to chart a path up and over the mountains of life. Feel free to use it to go help somebody. 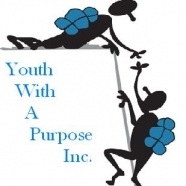 If you would like us to bring a YEWAP program to you, please call us at 716-830-8240. 6. Do you need help for any other reason? Use the back of this card if you need more room to write. We are not experts, but we might be able to point you in a positive life direction.